I’m really looking forward to June, and not just because my new book will be out and I can finally relax, maybe. 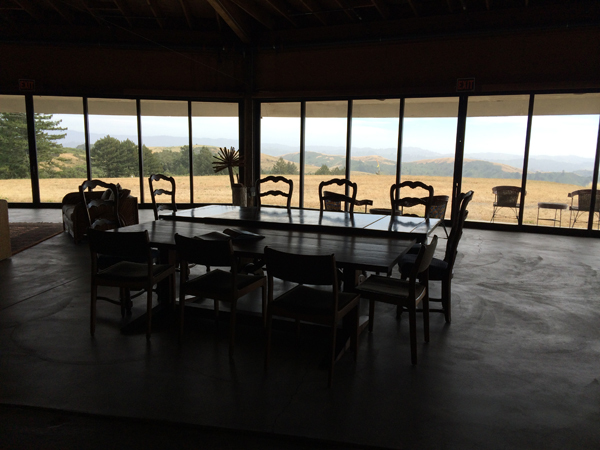 It’s because I get to go back to this beautiful place in the mist, the Djerassi Resident Artists Program in Northern California, and I get to take a group of fellow YA writers with me. 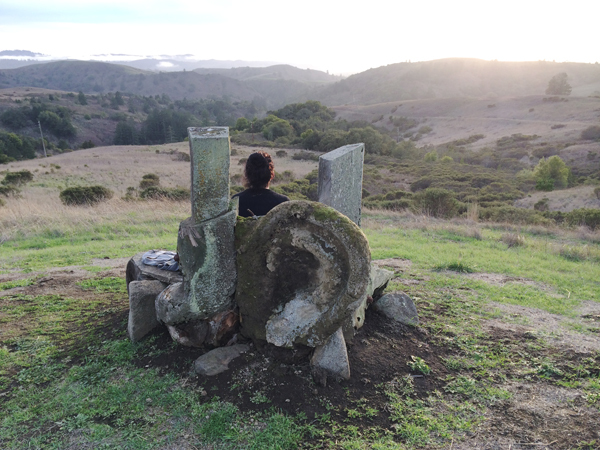 My third Djerassi YA novel workshop will be running June 21–26, and you can still apply to join me: The deadline is February 26. 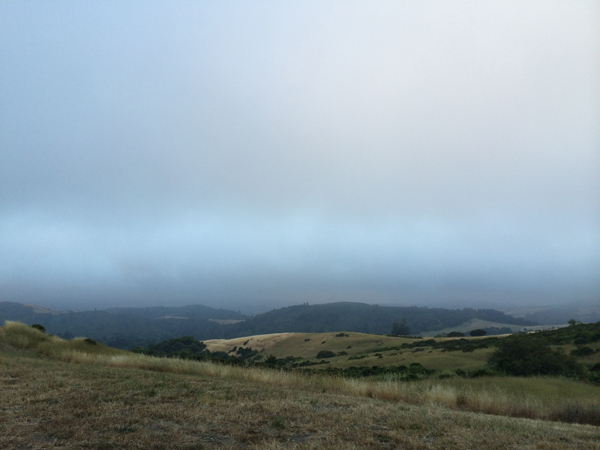 The view at Djerassi, with the fog rolling in. You can’t see it, but the Pacific Ocean is out there. 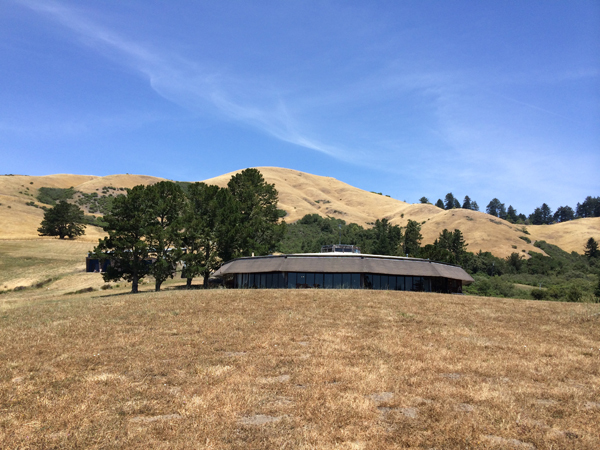 I first visited Djerassi as a resident artist, where I spent a month writing and exploring ideas and finding great inspiration. I love sharing this experience with fellow writers of YA fiction—a small week-long taste with opportunities for critiques and a private meeting with me and good food and good discussion and a sculpture tour and what else can I say to entice you?? When the fog clears, look… There’s the ocean. I’ve been fielding some frequently asked questions lately from prospective writers, and I wanted to try to answer those here. Please, if you have more questions, feel free to ask in the comments or to email me privately. Some of the studios, where some of the writers will stay. As it says in the general description, this is a fiction workshop tailored for writers working on YA novels of any style and genre, featuring daily critique sessions and time to retreat and produce new work. 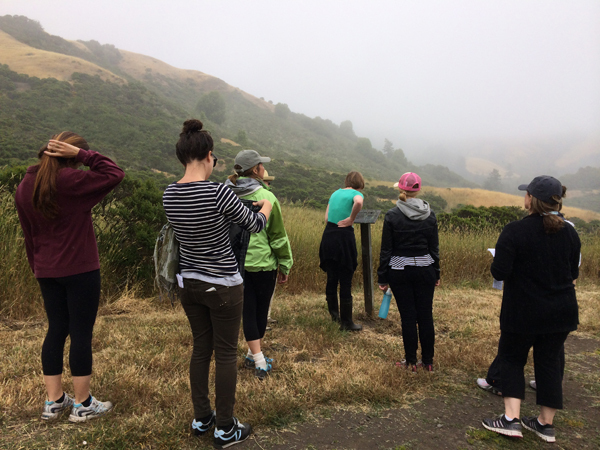 Includes 75 pages (25 for group critique; 50 in private conference) of manuscript review… And if you’d like some testimonials, scroll down on this page for the wonderful things the 2014 Djerassi YA workshop writers said. 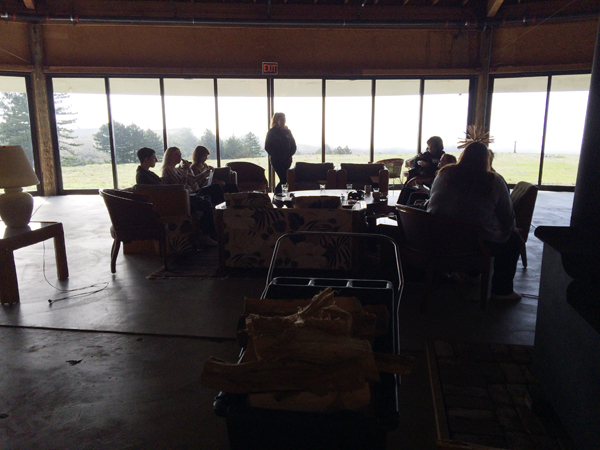 The artists’ barn, where we hold workshops every morning. What are you looking for in writing sample? I’m looking for good writing, of course, but also the spark that tells me I would be able to be helpful to you as a writing teacher—a connection to your writing that tells me we would work well together. I’m looking at the person as well as the writer, so I can try to craft a good, supportive, dynamic group of writers who will click with one another, and who will come from differing perspectives and backgrounds and places in their careers. Please know: The sample pages you send in for the application absolutely do not have to be the pages you send in for the actual workshop. So send your best work for the application, and know you can send far rougher pages later. When will the pages for critique be due? 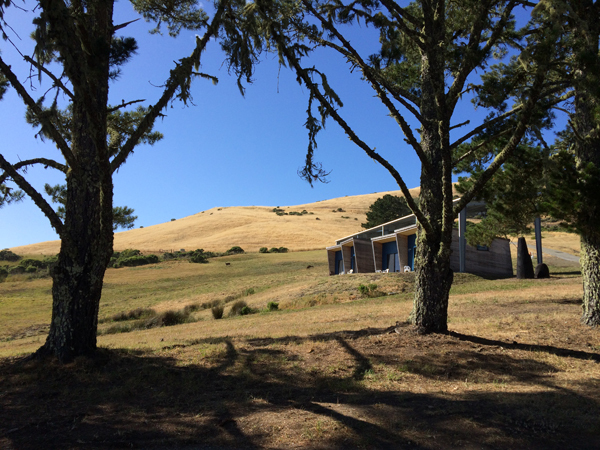 A month before our workshop starts, so you have a chance to read all your fellow writers’ work and write feedback before arriving at Djerassi (and so I’ll have time to read, too! ): so May 21. You’ll be able to workshop up to 25 pages with the group. You will also have the opportunity to send me up to 50 additional pages for private critique, which we will discuss in person when we meet. These additional pages can be from a different novel, if you prefer, or from the same novel—up to you. 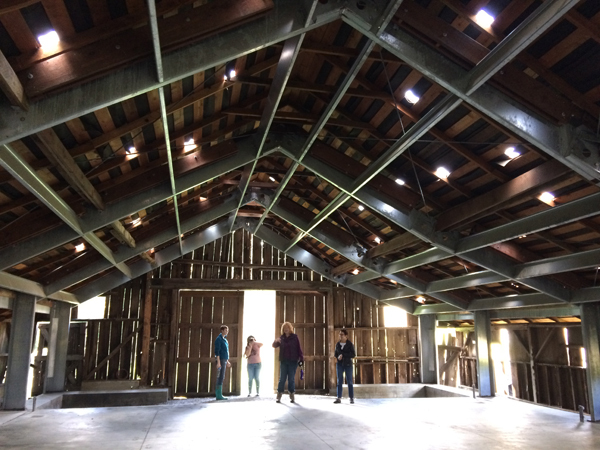 Inside the barn, before the writers arrive. What kind of writers are you seeking? YA writers with experience, though not necessarily publications. Though, of course, published authors are very welcome to apply. This is not a workshop for beginning-level writers who have never written fiction before. You should also know what YA is, and you should be enthusiastically, passionately writing it. Diverse writers are encouraged to apply. You must be 18 or older to apply. Can I workshop pages from a middle-grade novel there? You can send middle-grade fiction for your writing sample, but I’d like to keep the workshop itself just to YA fiction this year. 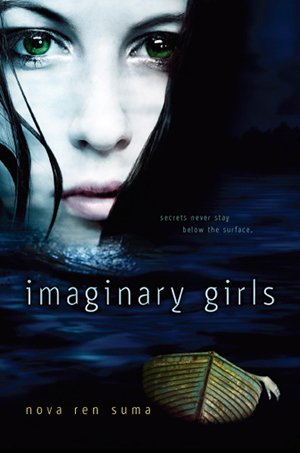 Please only apply if you know you will have the opening pages of a YA novel to bring for group discussion June. Is this workshop for women only? No! (This was a question really asked, so I’m including it here.) It was only coincidence that the great majority of writers who applied last year were women… Most of my readers are women, too. Male writers and non-gender-conforming writers are encouraged to apply. I’d love a diverse group of writers. How many writers will you accept? Nine. Though, if I can’t help it, certainly no more than eleven, due to housing constraints. I won’t be selecting the writers until after the deadline, which is February 26. I admit that I have peeked at the applications and read some writing samples and I’m getting excited… But I really will be making the decisions after all the applications are in. Notifications will go out on or before March 12. Here I am taking a break during one of the workshops, on the listening bench. We will meet for workshop in the mornings, during which we will critique each writer’s opening pages in a constructive, honest group discussion led by me. At the end of discussion, you will have the opportunity to ask the group questions about anything you’d like clarity on, or anything that didn’t come up in our feedback. After you’ve been workshopped, you and I will schedule a private conference in the afternoon, where we will talk about how you thought the workshop critique went and discuss your additional pages. During one afternoon, we’ll go on a sculpture tour of the property, which is totally voluntary but highly recommended. Otherwise the afternoons are yours to write, nap, think, read, chat, hike the sculpture trails on your own, or whatever you’d like. In previous workshops, sometimes the writers would meet together for writing sprints—and you are always welcome to write in your private studio. Your time is yours. Breakfast and lunch are yours to make from the fully stocked kitchen, but every night we meet for delicious dinner in the main house, made for us by amazing Chef Dan. (Who is wonderfully accommodating for special diets, btw, if you are vegan or vegetarian or gluten-free. Everything he makes is so good. He’s my favorite chef, over all the colonies.) We share chores after dinner and clean up the dishes. It doesn’t take long. In the evenings we will have readings—a chance, if you’d like, to share more of your work!—and we will try writing prompts if everyone is interested. We might have a movie night. I did a reading myself in previous years, but this year I might add in a craft talk. We might have an honest discussion about the publishing industry in a place where only we can hear. I take my cue from you, and will craft the week to be whatever you’d like it to be. Sculpture tour (June, in the mist). Is there any required reading? A month before the workshop, you’ll get your fellow writers’ pages to read and start critiquing so you have ample time to have everything done before you arrive. Other than that, there is no required reading before or during the workshop. Is there an opportunity for you to critique my full manuscript? I’ve added in this option due to requests from last year. 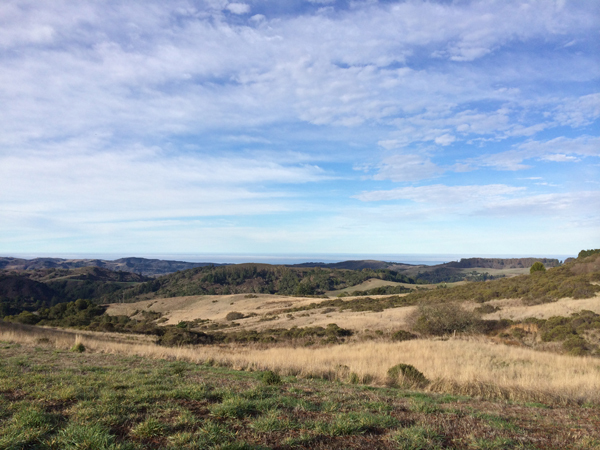 You can see my new critique and mentoring service on my website, but for 2015 Djerassi writers, the fee will be heavily discounted if you want me to read and critique beyond page 75 of your novel. I’m sorry to say that we don’t have a scholarship program available. The old barn, a short hike into the woods. Here’s a question I’m not asked: What do I want from this week? 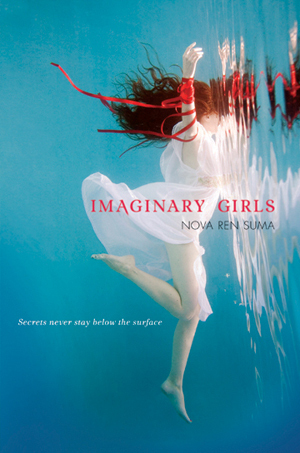 I want to give you a safe place to talk about your novel, among like-minded writers. A place to be honest on the page. A place to dig in and ask questions and be open to feedback that could help raise your story to new heights. I want to dig in to your novel with you and help you get to where you’d like to be. 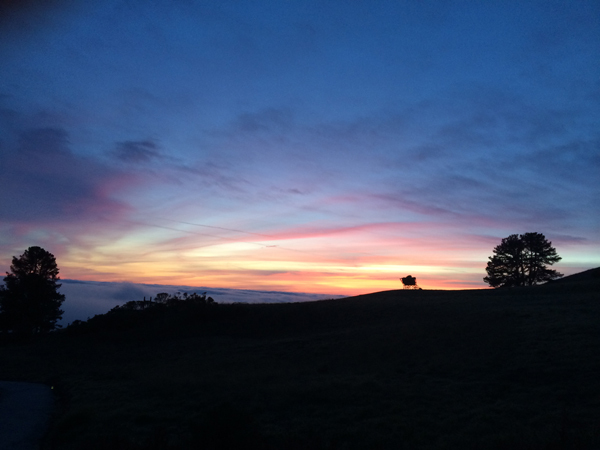 I also love being up at Djerassi, so I can’t wait to go back, just selfishly. 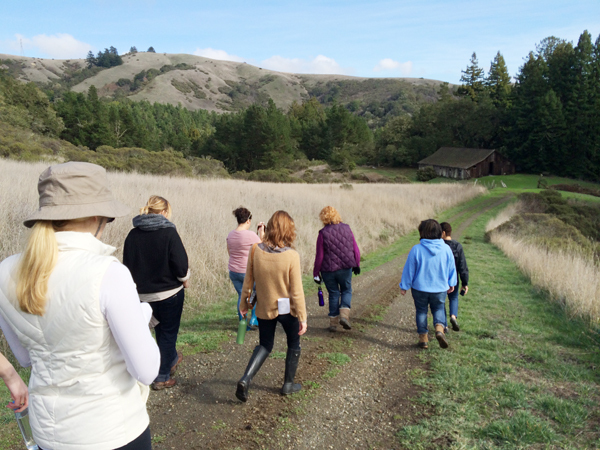 If my last two Djerassi workshops in 2014 were any indication, this is going to be an incredible week. Sunset, looking out at one of the sculptures resident artists have left around the property. I hope this FAQ answers your questions—but if you have more, please ask in the comments below or feel free to email me! Click this image to read a special free extended preview of the book! If you read to the end of that post you’ll see that McNally Jackson is hosting my launch event on March 23, the night before the book comes out, and Libba Bray will be my special guest! Please come if you’re local. Please help me celebrate. And if you can’t make it to the event, you can pre-order The Walls Around Us from McNally Jackson and get it signed and personalized directly to you. There’s a box on that order page where you can write in how you’d like the book personalized. I’ll bring Sharpies. 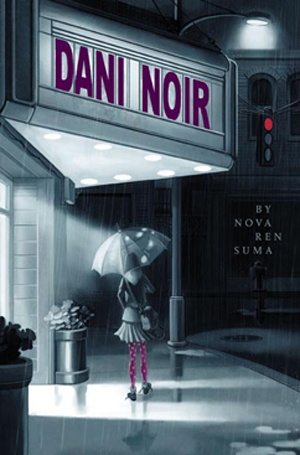 I also have other events upcoming in the Hudson Valley (Oblong Books!) 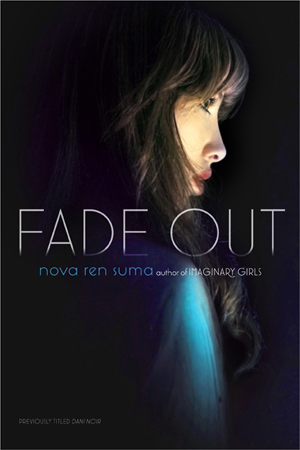 and Texas (The North Texas Teen Book Festival!) and possibly more coming. Now I’m going to leave you with these amazing words about the book, from two incredible YA authors who generously spoke kind words about the book. I am so honored by those words, my god. I hope all this gets you excited to read the book! Well, I am so excited (and anxious) for the book to come out, but I’m also in that surreal place where I remember how happy I ended up being from writing it, and how much of myself I put into it, and now here it is out in the world and I can hardly believe it. I don’t want to forget how that felt. It’s important, always, to remember, no matter how anxious you get about a book entering the world. Don’t let me forget, okay? I came home from my writing retreat right before the New Year. I can’t spend that night apart from E.
Yaddo is a secretive place. I cannot post photos or give many details, but I can say I shared some inspiring conversations, laughed and learned many things, and slept with the light on because I saw a ghost (maybe) in my bedroom my second or third night. I wrote and wrote, too, which was the whole point of going. My writing studio saw me through the writing of almost 30,000 words. That was my goal for my stay, and though I was 1,448 words shy of making it, I am close enough that it feels successful. I left feeling good. I found illuminations. I sizzled with inspiration. I felt on fire. I found myself at low points and then I found ways to raise myself up. I looked out the crisscrossed-diamond windows at the tall pine trees over the rooftop and thought of who had done the same, in this very studio, years and decades before. I went to town and visited a wonderful bookshop that didn’t carry my books, but I forgive them. I covered my entire desk in colorful sticky notes of ideas, plans, to-dos, and daily word counts. I ate dessert quite a few of the nights (so hard to resist) and carrot sticks at lunch every day. There is magic there. You don’t have to believe in it for it to find you. The echo of everyone who came before you surrounds you in each room, through each hallway, heading up and down each set of stairs. There is a quiet that contains the quick-quick panic of an anxious, deadlining heart. And when real life intrudes, as it did on my last few days in the form of a blistering on/off headache and the stress of some worries waiting for me at home, there was still the quiet to escape to, the gift you were given to be here. You are welcomed. You are not the only one awake in the night. On my last night, Katrina’s eyes were smiling. It was a wonderful end point to my five-year chapter, as I wrote about in this blog before I left. It capped off my 2014. I came home on the Amtrak, and E met me in Penn Station. We had talked on the phone every morning and every night, but I missed him, terribly. Seeing him there in the crowd made my heart leap. 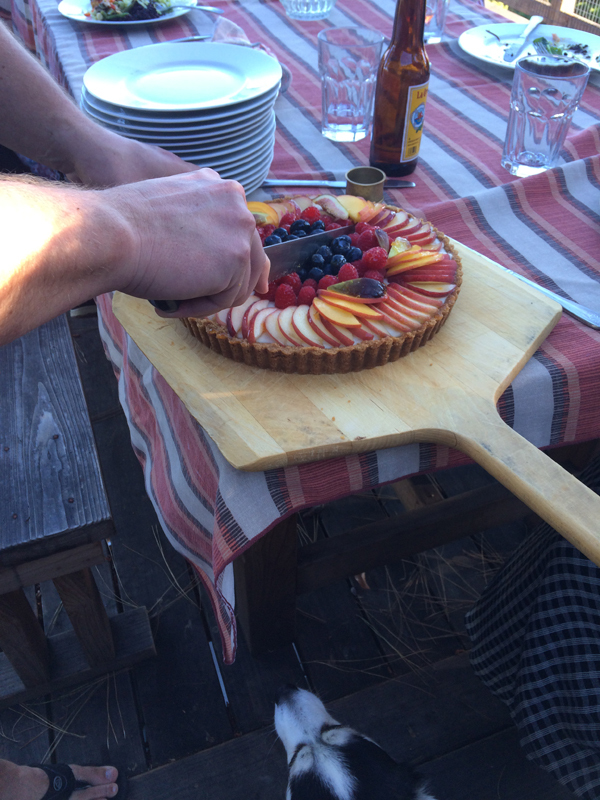 We spent a calm and quiet New Year’s Eve together as I’d hoped and I wrote down all my goals and dreams for 2015. Now it’s the morning of January 1, and I’m in my favorite morning place—my writing café, at a table near the outlet, my back against the wall—and it’s almost like my time upstate didn’t even happen. I’d been in a bubble, and the bubble has burst. Everything’s fading, which I guess is why I wanted to spend some time this morning writing that down. This may be a stressful year, but I am also determined for it to be an amazing one. I am teaching a new online class that starts next week and beginning one-on-one mentoring with some talented writers who’ve already signed up to work with me. I am going to my first publisher-sponsored conference ever in my life in February. The book I put my all into is coming out in March. I’m scared of what’s coming, I’ll admit it. I’m definitely on the edge of a new chapter in life and I have a big birthday coming up this winter. But I’m also really proud of how far I’ve come. My publisher posted this wonderful photo and I want to share it. 2015 is here!